Artigo pergunta: (A obra de) Agatha Christie pode ser política? Agatha Christie’s The Murder of Roger Ackroyd is considered by many to be the finest crime mystery ever written. It tells the story of how Hercule Poirot investigates a killing, and stuns us when he identifies the culprit. Arthur C Clarke’s Rendezvous With Rama is the most awarded science-fiction novel ever, and tells the story of an unidentified spaceship that crosses the solar system and leaves behind more questions than answers. José Saramago’s Blindness is frequently pointed out as one of the best 20th-century novels in world literature, and it tells the story of a sudden epidemic of blindness in Lisbon. Apart from the obvious quality of these books – a quality that arises either from their storyline or their written style – what do they have in common? Well, they are not political. Even Saramago, who has never hidden the fact that he was a communist, and an active one at that, never actually wrote an obvious political novel. What, then, is a political novel? Politics is not necessarily something that involves political parties, as we might immediately assume, but rather an activity related to the management of societies. Decisions and actions that affect us all are politics, but also ideas and concepts. Actually, it’s the latter that provide the blueprint for the former. Mais dicas serão sempre bem-vindas. 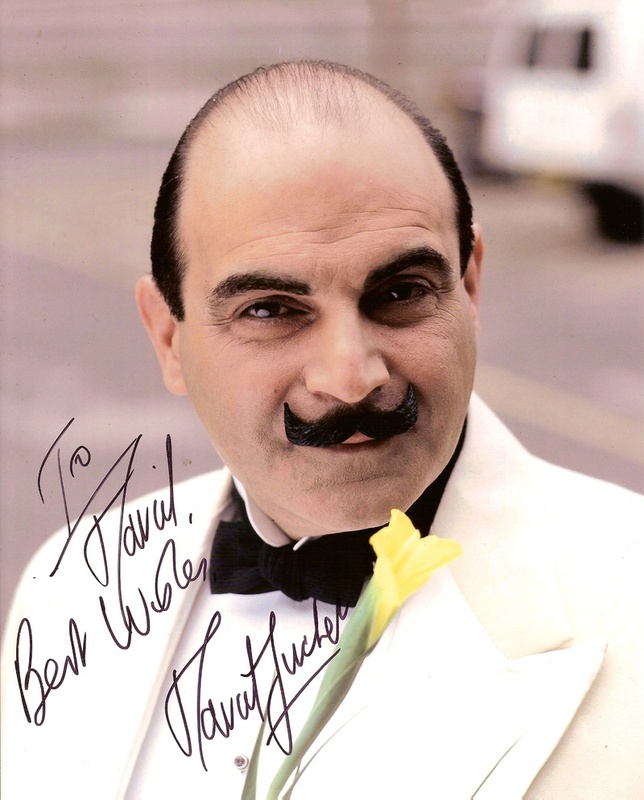 David Suchet has admitted it was harder to return to the role of Poirot than he thought it would be, and said he studies his previous performances for hours. The 67-year-old actor has played Agatha Christie’s famous Belgian detective Hercules Poirot for 25 years in the ITV adaptations of her stories, and has just completed filming the last five, to air on television this year. Suchet revealed: “It is always more difficult than I ever imagine it will be for two reasons. I do so many things in between and play so many different characters, but also because Poirot is so particular and so precise. Agatha Christie was famous for never changing his character. “Although the scripts allow me some development, every time I come back to Poirot I have to come back to his voice, his walk, and his mannerisms. What I always think is going to be an easy glove to fit again, it’s always very hard. I usually have to watch up to ten hours (of previous footage) prior to filming and then practise getting the voice correct so that I match exactly, apart from natural ageing and things like that. 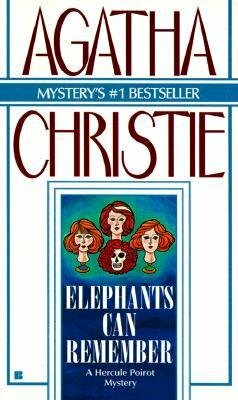 “Elephants Can Remember” é a primeira de cinco novas adaptações de Agatha Christie para a TV. Hercule Poirot is possibly everyone’s favourite fictional Belgian private detective, David Suchet accepted the role in 1988 and has been playing the world famous detective for 25 years. The first of five brand new Agatha Christie adaptations, Elephants Can Remember, comes to screen on ITV on the 9th June. Poirot has not just one, but two murders to solve this time around. With the absence of Captain Hastings, Poirot has a new but familiar sidekick in the form of the celebrated crime writer Mrs Ariadne Oliver (Zoë Wanamaker). 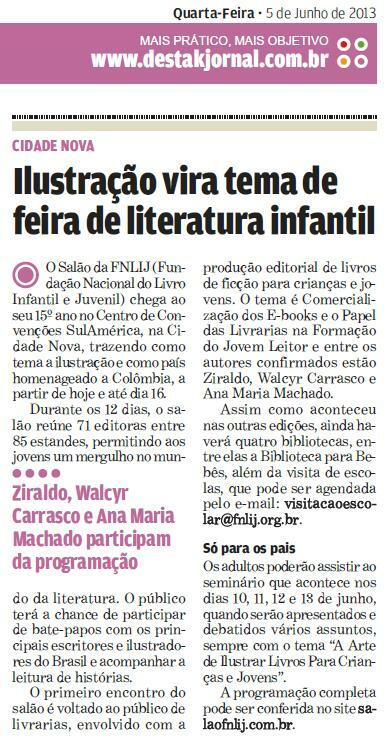 Apesar de ser uma feira dedicada a crianças e adolescentes, fica a dica para nossos leitores, sempre ávidos por uma Feira de Livros: o Salão da Fundação Nacional do Livro Infantil e Juvenil 2013 acontece no Rio de Janeiro de 04 a 16.06.2013. 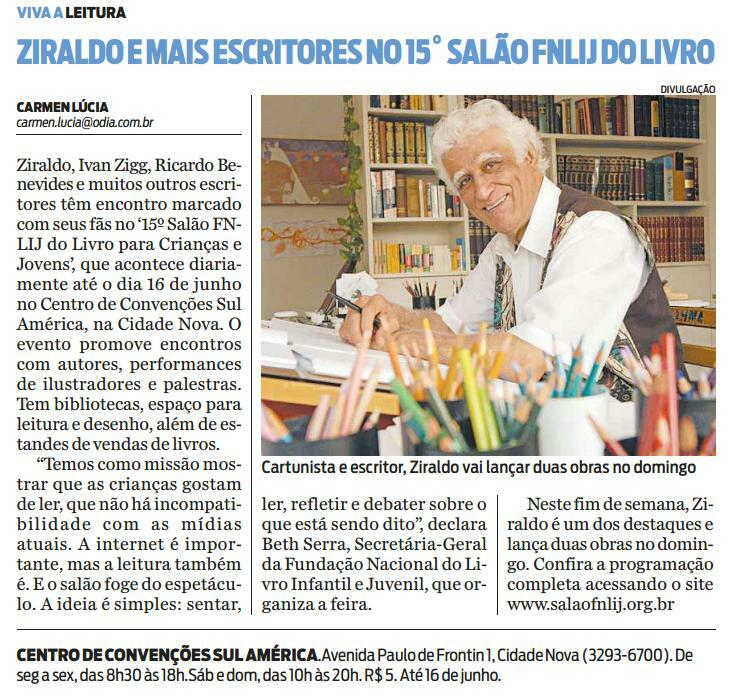 Fonte: jornal Destak (RJ) de 05.06.2013. Update 07.06.2013 – Abaixo, matéria do jornal O Dia de 07.06.2013.